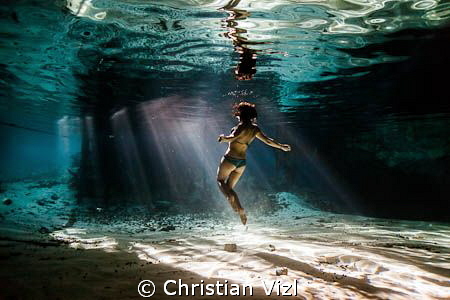 Painting with light at its best, Christian ! And I love the pose of the model ! I was very pleased with your "painting with light". Beeing in the same spot with same light and same model, I would place the model more to the the right so that those diagonal sunbeams would follow a diagonal angle togweht with the model & sandy ground. I think I would shoot also more from a lowered position. But it's already great as it is...and could be even greater with slightly different composition.